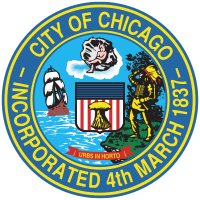 The Chicago Building Scofflaw Ordinance (Section 2-92-416 of the Municipal Code of Chicago) is designed to prevent landlords that refuse or refrain from correcting ongoing building code violations from receiving city contracts, including those that subsidize housing. Building owners must have a least three residential buildings with uncorrected violations and have had three or more properties referred to Circuit Court within the applicable 12 month period to be eligible for the list. The building code scofflaw list is updated once a year on the first business day of December, and building owners may appeal being named on the list. Building owners with controlling interest in at least three residential properties that have habitual, extensive or serioues building code violations are now ineligible for any new city contracts in 2015. The following individuals or entities have been placed on the Building Code Scofflaw list for the entire calendar year. All 311 calls for open and vacant buildings reported to the City of Chicago since January 1, 2010. The information is updated daily with the previous day's calls added to the records. The data set provides the date of the 311 service request and the unique Service Request # attached to each request. For each request, the following information (as reported by the 311 caller) is available: address location of building; whether building is vacant or occupied; whether the building is open or boarded; entry point if building is open; whether non-residents are occupying or using the building, if the building appears dangerous or hazardous and if the building is vacant due to a fire. List of ordinance violations filed with the Department of Administrative Hearings. This data set reflects building code violations brought before the Chicago Department of Administrative Hearings. It does not reflect building code violations brought before the Circuit Court of Cook County. Each row of data represents a unique violation. Multiple violations may be associated with a single case. The most recent status of the case is shown in the dataset and is updated daily. Hearing date corresponds to the date of the most recent hearing. Each case often consists of multiple hearings and may encounter continuances due to various circumstances before a final disposition is rendered. The case disposition, date of the disposition, and any applicable fines and administrative costs are listed when the case is fully completed. The latest hearing status or disposition reflects the condition of the property at that time and may not reflect the current condition of the property. When multiple respondents are cited, each respondent is separated by a pipe ("|") character. Respondents sometimes are added to cases for technical legal reasons so are not necessarily the parties believed to have committed the violations. OUTDATED. This dataset will not be updated further due to changes in how the source data are maintained. For more information on the City’s life safety ordinance, see https://www.cityofchicago.org/city/en/depts/bldgs/provdrs/inspect/svcs/life_safety_high-riseordinance.html and the contact information on that page. -- This dataset is a listing of the report status of all residential buildings required to submit a Life Safety Evaluation under city ordinance. Because the Chicago building code has since 1975 required new high-rise residential buildings to be constructed with sprinkler systems, the Life Safety Ordinance mostly impacted high-rise residential buildings constructed prior to 1975. This dataset does not describe the overall safety of a building, only whether or not the life safety evaluation was submitted and approved by the City of Chicago. Please note that the majority of reports “failed” initially as a result of a new reporting process and changes to building standards. Data set contains all 311 calls for open and vacant buildings reported to the City of Chicago since January 1, 2010. The information is updated daily with the previous day's calls added to the records. The data set provides the date of the 311 service request and the unique Service Request # attached to each request. For each request, the following information (as reported by the 311 caller) is available: address location of building; whether building is vacant or occupied; whether the building is open or boarded; entry point if building is open; whether non-residents are occupying or using the building, if the building appears dangerous or hazardous and if the building is vacant due to a fire. The Energy Benchmarking Ordinance calls on existing municipal, commercial, and residential buildings larger than 50,000 square feet to track whole-building energy use, report to the City annually, and verify data accuracy every three years. The law, which phases in from 2014-2017, covers less than 1% of Chicago’s buildings, which account for approximately 20% of total energy used by all buildings. For more details, including ordinance text, rules and regulations, and timing, please visit www.CityofChicago.org/EnergyBenchmarking. Note that the ordinance authorizes the City to make individual building data readily-available to the public, beginning with the second year in which a building is covered. The Covered Buildings List is distinct from the publicly-shared energy use data, and does not include energy use or any other information reported in the benchmarking process. For the building-specific energy use dataset, see https://data.cityofchicago.org/d/xq83-jr8c. If your property is on this list, and you do not believe you are covered by the ordinance, please submit the appropriate online exemption form at: www.CityofChicago.org/EnergyBenchmarking. If your property is not on the list, and it meets the compliance criteria, please check for any alternative building addresses. If the building is still not found, please submit the Building ID Request Form (http://www.cityofchicago.org/city/en/depts/mayor/iframe/Benchmarking_ID_Request.html). The Chicago Energy Benchmarking Help Center can assist with any other questions, and can be reached at (855)858-6878, or by email: Info@ChicagoEnergyBenchmarking.org. This dataset will be refreshed periodically as additional information becomes available. It is advisable to use the then-current version of any dataset, if possible. List of ordinance violations filed with the Department of Administrative Hearings. This data set reflects violations brought before the Chicago Department of Administrative Hearings. It does not reflect violations brought before the Circuit Court of Cook County. Each row of data represents a unique violation. Multiple violations may be associated with a single case. The most recent status of the case is shown in the dataset and is updated daily. Hearing date corresponds to the date of the most recent hearing. Each case often consists of multiple hearings and may encounter continuances due to various circumstances before a final disposition is rendered. The case disposition, date of the disposition, and any applicable fines and administrative costs are listed when the case is fully completed. The latest hearing status or disposition reflects the condition of the property at that time and may not reflect the current condition of the property. When multiple respondents are cited, each respondent is separated by a pipe ("|") character. Respondents sometimes are added to cases for technical legal reasons so are not necessarily the parties believed to have committed the violations. This dataset currently lists violations issued by the Department of Buildings. Additional ordinance violations will be added over time. Therefore, it is advisable to use the department-specific filtered view listed under the More Views button for purposes that require only one department's violations. The ordinance authorizes the City to share property-specific information with the public, beginning with the second year in which a building is required to comply. The dataset represents self-reported and publicly-available property information by calendar year. Currently, the data includes calendar year 2014 information for 243 properties, calendar year 2015 information for over 1,500 properties, calendar year 2016 information for over 2,700 properties, and calendar year 2017 information for almost 2,800 properties. The "Data Year" column and filtered views under "More Views" can be used to isolate specific years. This view shows data for a single year. This map shows data for a single year.